I knew I wanted to be a pro cyclist when: I was 10 years old and was watching the Tour de France on the old TV of my grandma. Race I dream of winning: The German national championship, because it is one of my biggest dreams to represent my home country in the jersey of the national champion. If I wasn't a pro cyclist: Working as a bike mechanic, as a social worker or having my own coffee shop. 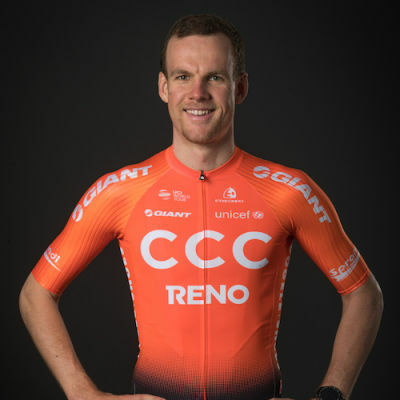 Jonas Koch makes his WorldTour debut in 2019 with CCC Team after racing with CCC Sprandi Polkowice in 2017 and 2018. The 25-year-old German showed his potential at one-day races with top-10 finishes at the Prudential RideLondon-Surrey Classic, Brussels Cycling Classic, Handzame Classic and the Tour of Norway. His strength as a sprinter and classics rider gained him his first WorldTour contract.